Illegal migrants appear to have boarded and forced the bridges of a number of French fishing vessels in an attempt to reach the British coast. 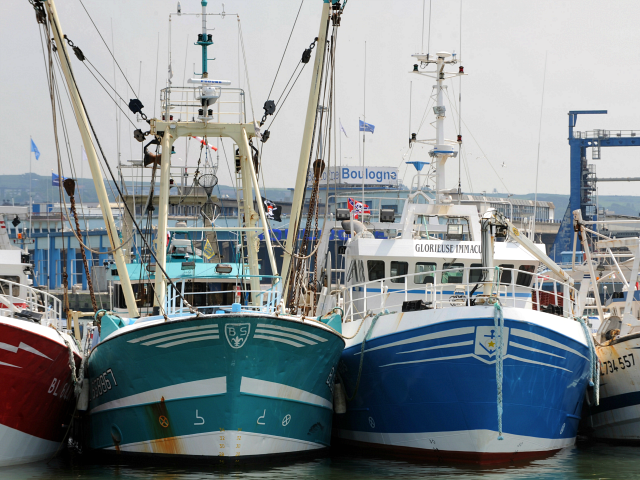 French fishermen discovered fishing boats in the port of Boulogne-sur-Mer which had seemingly been forced overnight by illegal migrants having to steal the vessels and make a drive across the English Channel, La Voix du Nord reports. The migrants were unable to start the vessels, although at least one of them, the Don-Lubi II, had had its dashboard taken apart in an attempt to hot-wire it. This comes just days after a fishing boat which was successfully stolen and put to sea with 16 migrants on board was intercepted by the French authorities, and taken back to the port of Bolougne. Meanwhile in November, a stolen fishing boat carrying 17 migrants managed to reach England successfully. Dozens more have crossed the Channel from France and Belgium using small dinghies and motor boats over the festive period, after seaborne crossings — once rare in what world’s busiest shipping lane, compared to illegal crossings by car, lorry, and even the Channel Tunnel — began to seriously escalate in November. As yet, there have been no definitive statements from the British government on the ultimate fate of the groups of boat migrants — at least one of which sauntered into town and presented itself at a local police station to claim asylum shortly after landfall — but, despite France and Belgium being relatively safe and prosperous EU member-states, sending illegal migrants back across the Channel is rare. This is a consequence of EU regulations which mandate that members typically cannot just send illegal arrivals back to the last safe country they came from, but must instead deport them to the very first EU member-state they entered. If this cannot be determined, due to lack of a digital or physical paper trail and the migrants declining to assist in their own expulsion, receiving countries are usually stuck with them.